Titan has also released a few details about their plans for the Doctor Who franchise. 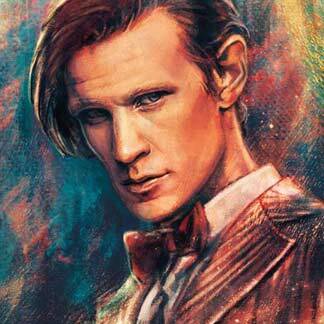 It seems they will be releasing new ongoing series for both the tenth and eleventh Doctors. The first issues of those series are expected to be in stores in July. A third series starring the twelfth Doctor will be out later in the year, presumably to be timed with the airing of series eight on television. No further information has been released yet on any future series from Titan. IDW's excellent run of Doctor Who comics is a hard act to follow, but it appears Titan is poised to build on that success.